Congratulations to Tenor and Veritas High School for receiving Title I School of Recognition for 2018-2019 from Wisconsin's Department of Instruction. Title I schools are recognized for demonstrated high-achievement, high-progress, and/or beating the odds. Congratulations to Tenor High School, Veritas High School, Windlake Academy, and Windlake Elementary on receiving a five year contract renewal from the University of Wisconsin System Board of Regents. 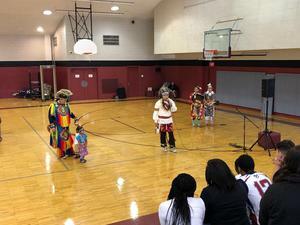 During Native American Heritage Month, Tenor students had the opportunity to participate in a presentation by active Native Americans including our very own Serina Mustache. Windlake Elementary's 2nd graders are learning coding as part of their Project Lead the Way (PLTW) curriculum. 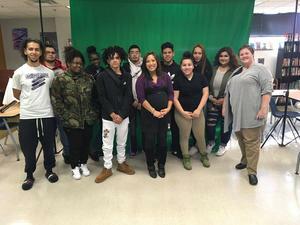 FOX6 News reporter Angelica Duria spoke to students about being a reporter and gave them tips on filming and writing scripts. 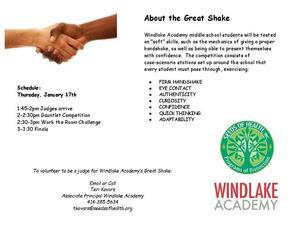 Windlake Academy will be participating in their first citywide Great Shake competition where students are tested on their "soft" skills including giving a proper handshake. Mayor Barrett visited Grandview on November 5th to remind the students about the importance of the election. Sergio Sandoval's adaption of Hamlet will be shown at the Milwaukee Youth Show as part of the Milwaukee Film Festival. Click here for more details.